you have the worst kind of heart trouble." Tributes, memorials and planned gifts represent a special and thoughtful way to honor someone in life and in memory, and to ensure that ALS of Michigan's programs continue for as long as needed. Celebrate people, their birthdays, accomplishments, anniversaries and holidays with a contribution to ALS of Michigan, offering those you care for, a message of hope. Your contributions and planned gifts help our future. Become a sponsor at one of the many events that ALS of Michigan hosts. Your sponsorship of an event can be designated to honor a loved one. There are a variety of sponsorship levels available for every event. 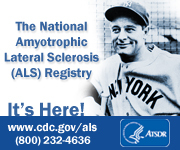 Make a safe and secure donation to ALS of Michigan by clicking on the link below. For more Information on how you can provide for a planned gift, become an event sponsor or make a contribution, please contact the ALS of Michigan office at 800-882-5764. ALS of Michigan is committed to transparency. These are links to the following documents including our Annual Report, Form 990, and Annual Audit for the fiscal period ending January 31, 2018.